This time we are serious, as things have changed since last summer. We sense increasing social awareness on chronic overuse of plastics, and this is a welcome step in the right direction. New regulations with teeth have arrived at shops. Starting from April 1, single-use plastic bags have been banned at supermarkets and malls. This follows an earlier ban (August 2018) of single-use plastic cups in coffee shops and cafes. Further anti-plastic measures are waiting in queue. Civic engagement is also noticeable. For instance, the “Plastic Free Challenge” has spread through social media among like-minded people. The menace of plastics has also become a staple topic on recent TV documentary programs -- a very good development, indeed. Furthermore, the Seoul Metropolitan Government is spearheading campaigns to curb plastic use. It is disseminating informative data from various sources. For example, the top five disposable plastic items used by Seoul residents in their daily lives are plastic cups, plastic straws, plastic bags, plastic packaging for delivery services, and plastic laundry covers. According to data, each year we use 25.7 billion cups, 10 billion straws and 21.1 billion plastic bags. Each person consumed 132.7 kilograms of plastics in 2016, compared with 93.8 kilograms in the United States and 65.8 kilograms in Japan. These numbers warn us that unless we drastically reduce the use of plastics, we will see more “plastic mountains” nationwide. The repatriation of plastics from the Philippines in February and last year’s import restrictions from China highlight that the only option available for us now is the domestic reduction of plastics. As such, it is critical to maintain the momentum and ramp up efforts. Effective enforcement of the new regulations is an utmost priority. The top three of the five most frequently used disposable plastic items are now to be regulated. The next item in line is plastic packaging for delivery food. Tackling this seems more complicated. Food delivery has become an inseparable part of life in Seoul. Food comes in plastic boxes with plastic spoons and forks, all neatly placed in double or triple layers of plastic bags. Hot Korean soups and stews are shrink-wrapped multiple times. A small plastic item to cut through the wrapping is also included. A single order leaves a table full of plastics. In addition, a new popular business model for delivery services accepts orders via apps late at night, and delivers food and groceries early the next morning. Here again, a boxful of plastic packaging comes with each delivery. The question is how do we handle these delivery plastics? The use of plastic items and packaging may be inevitable in delivery services, but there is still room for reduction. For instance, overpackaging, overwrapping and overgenerosity with plastic utensils can be addressed. At the end of the day, campaigns alone will not solve the problem. Statutes and regulations are important, but they have limitations. Assuming plastics are essential components of modern life, a more sustainable solution would be the development of eco-friendly, biodegradable plastics. This can only be done with long-term plans and funding. This is also where civic campaigns could turn into future social strategies. In fact, some countries are going in this direction. For instance, the EU has provided 100 million euros ($112.9 million) for 2018-2020 for research into plastics-related projects as part of its EU-wide Horizon 2020 scheme. The aim is to develop plastics that are “reusable and recyclable in a cost effective manner.” A very tempting and timely topic. We’ll have to see the outcome of the research. After campaigns and pleas, this should be our next step as well. 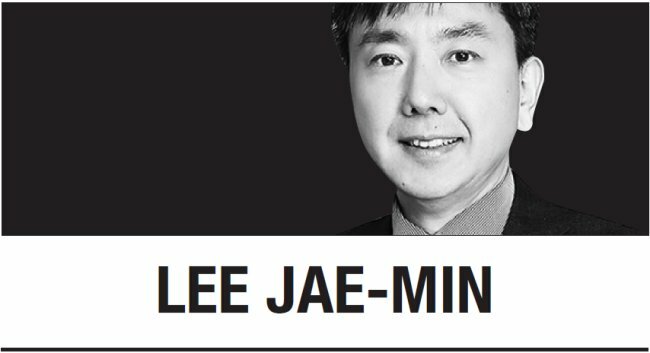 Lee Jae-min is a professor of law at Seoul National University. He can be reached at jaemin@snu.ac.kr. -- Ed.